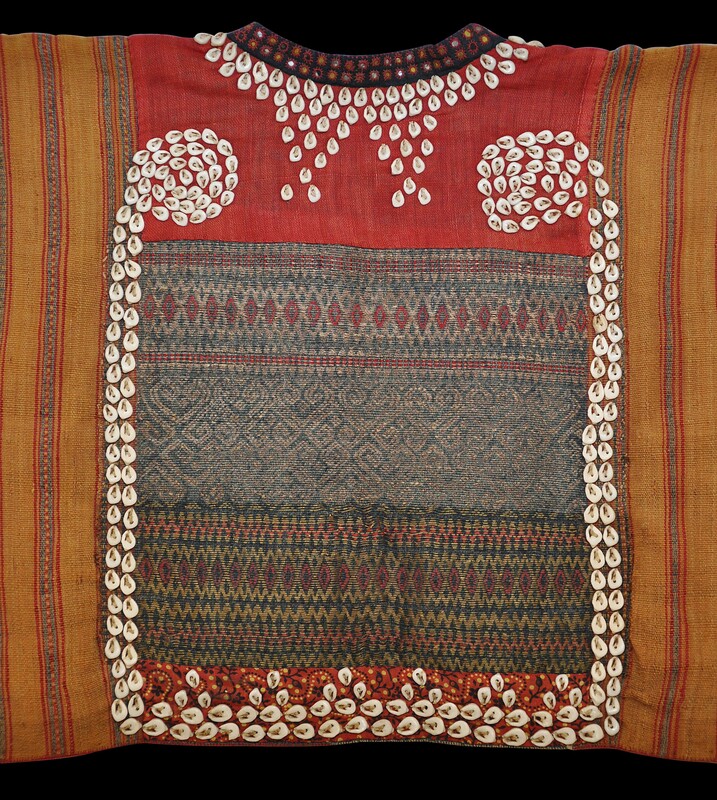 Short jackets such as this example were worn by young, unmarried Kauer women together with a sarong. They are constructed from a rectangular piece of woven cotton cloth coloured with natural dyes. The front piece comprises separately embroidered panels with small mirror (mica) applique sequins called cermuk. The back panel is of black cotton woven with gold and silver thread. The many cowrie or nassa shells about the neck and collar and stitched to the back most probably are designed to express the hope that the wearer will have many children. Click here to see an example in the Metropolitan Museum of Art. The example here is in very good condition. It is free of repairs, insect holes and tears.